Hi, My name is Jagmeet Singh, and I’d like to be Prime Minister of Canada. Our Canada is a beautiful country, and I want to create a Canadian Plan to eliminate inequality and poverty. A Plan where everyone can participate in the creation and sharing of our wealth. Here is my Income Security Agenda for Canada. The Basic Guaranteed Income idea has been around in Canada a long time. In 1970, Senator Davuud Avrum Croll, a Liberal from Moscow, hired four NDP economists to study poverty in Canada. Sadly, our four far-left economists, from the Waffle, were under surveillance by both the KGB and the RCMP. Fearing that the Liberal Senator from Moscow would water down the NDP Poverty Report, our economists stole the original research and leaked it. As a result, there were, in fact, three different publications of the Poverty Report that year, recommending a Guaranteed Basic Income. First, there was the report called “Poverty in Canada: Report of the Special Senate Committee on Poverty”, published in November, 1971 by Liberal Senator Croll, from Moscow. Then, Bob Chodos and Mark Starowicz — both of the 1969 Communist front movement,Operation McGill Français a protest intended to ethnically cleanse English education out of Quebec to enhance the chances of international recognition for Quebec’s “distinct society” after a Yes in a referendum — were now in Ontario, and now running their own magazine, The Last Post. 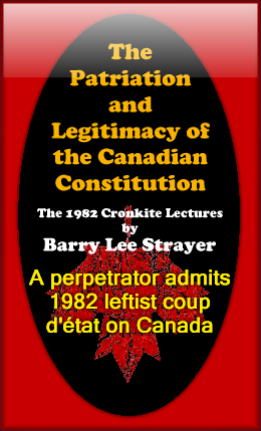 According to declassified and redacted RCMP surveillance reports, the magazine, The Last Post, was a particular Marxist tactic. Nonetheless, Chodos and Starowicz published the NDP’s report in a special issue of The Last Post as “The Renegade Report on Poverty” in the summer of 1971. Ian Adams, William Cameron, Brian Hill and Peter Penz. And, really bad luck, Chodos and Starowicz were also under KGB and RCMP surveillance. In fact, Starowicz was on KGB payroll at the time, selling information on Parliamentarians for the Soviets to open blackmail files. Finally, Mel Hurtig, of Edmonton, published it. Today, Mel is a proud signatory to the UNPA Petition for an elected World Government. Mel is also a proud co-founder of the Council of Canadians. That’s “Canadian Soviet” in Russian. The Council of Canadians advocates for public input on the North American Soviet Regional Union, happening now, thanks to NAFTA. And, by the way, the NDP also takes credit for pushing NAFTA through, against the democratic will of the vast majority of the Canadian public. 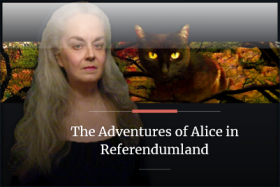 By the way, Maude Barlowe, Mel’s co-founder of the Council of Canadians, is another proud signer of the UNPA petition for an elected World Government. Hurtig published our NDP research under the title, “The Real Poverty Report”. As you can see, we got our Poverty Report published, our way, and to hell with the Liberals. The NDP and the Parti Québécois, like a pair of cheap hookers, have been working both sides of the political street. 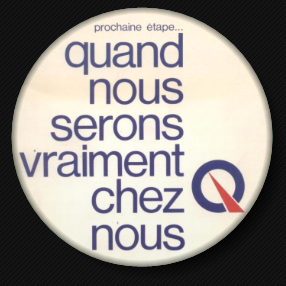 In 1972, eating NDP dust — the Parti Québécois — which is really a Liberal set-up under Pearson, 17 — published its 1972 manifesto for the party militants. In its manifesto, the PQ unveiled its own Plan for a Guaranteed Minimum Income. And its own plan for sovereignty to pull it off! Because all the powers are needed to restructure the democratic state. Speaking of Pearson. Really lucky a lid was kept on the FBI report conveyed to the RCMP in 1951. A defecting officer of Soviet military intelligence revealed that Lester Pearson, aka “Mike”, was indeed a Soviet agent. 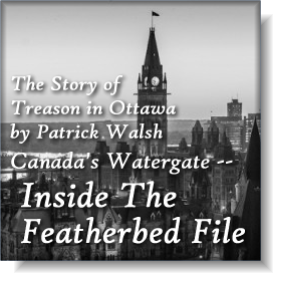 Without his role under wraps, Pearson might never have become Prime Minister in time to begin the post-War restructuring of Canada for the planned World October Revolution warned about by high-ranking KGB defector, Anatoliy Golitsyn. Frankly, the NDP claims part of the credit for keeping the lid on. Our man in the Waffle, Ian Adams, co-author of The Real Poverty Report published by Hurtig, later dramatized a failed effort in 1964 by the CIA and the RCMP to expose Pearson as a Soviet agent of influence. And, lucky again, the RCMP must have mislaid that 1951 FBI letter. As the PQ knows, Jagmeet’s 4-point plan for Equality and Prosperity can only work in a structured environment called Industrial Democracy. In 1970, Ed Broadbent, a federal NDP member of Parliament, set the agenda for the New Democratic Party. “Together with the trade unions, the New Democratic Party should make the creation of a democratic industrial Canada its guiding ideological principle. In its 1970 conference proceedings, the Praxis Research Institute named Industrial Democracy the “true heir to Karl Marx“. However, the NDP has always adhered to Industrial Democracy. In 1962, as a full member-party of the Socialist International, the NDP is bound to the SI mandate of a socialist world government, and Industrial Democracy. In 1950, Marshal Tito, who led the resistance to German occupation during World War II and established a communist state after the war, began to develop Industrial Democracy. What a shame! The Americans ordered Tito to break up Yugoslavia, under economic sanctions. Tito really had Industrial Democracy on the roll! If you elect Jagmeet Singh as Prime Minister of Canada, and put the NDP in federal power, I promise to make Industrial Democracy work for Canada. One local level, one socialist Five-Year Plan, one Guaranteed Basic Income. It’s not really the gulag. As long as you have the right attitude, Canada can be a model for the world. Canada can do Communism right. 1. Steal from the rich and give to the poor. 2. Steal from the rich and give to the poor. 3. Free gifts for everyone! 4. 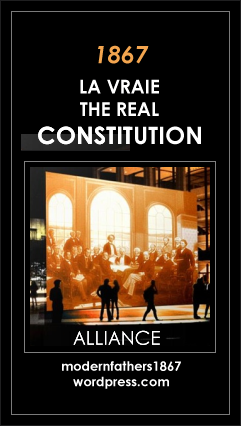 Confiscate all private property as property of the collective. 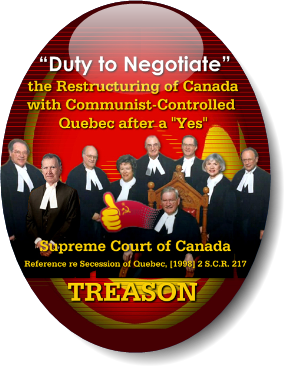 In the spirit of those great socialists of the past: Robin Hood, Che Guevara, Santa Claus, and yes, Comrade Karl Marx himself, with LOVE, we will have the COURAGE to destroy Canada completely, and start again. World federation will rectify it. A final note on Praxis. How unfortunate! About a month after a journalist wrote some unkind things in the Toronto press, a suspicious fire destroyed Praxis headquarters beyond repair. An RCMP “red squad” was implicated, but the culprit was never nabbed. My name is Jagmeet Singh. Vote for me for Prime Minister of Canada. “Jagmeet Singh for Prime Minister of Canada!” is a comic exposé of the NDP and the shady red origins of the ‘Guaranteed Basic Income’ idea in Canada. This video is based on facts, history and documented research. It’s a caricature of reality. The NDP is not a ‘left’ party, it is a Communist party devoted to the Yugoslav model of ‘worker control’ or ‘Industrial Democracy’, a form of Communism developed under Marshal Tito in Communist Yugoslavia, which had been a Soviet satellite. Industrial Democracy has been called ‘the true heir of Karl Marx’. The form of Communism called Industrial Democracy is also known as ‘worker control’ or ‘worker self-management’. This is precisely the kind of system planned for Quebec in the 1972 manifesto of the Parti Québécois! Industrial Democracy terminates the free-market enterprise system as we know it. In 1972, the president of the Quebec Employers Council, Mr. Charles Perrault, said that if ever the PQ plan (its 1972 manifesto) were implemented, which is based on Industrial Democracy, it would mean “the Apocalypse of business”. It would be the end of free enterprise. In other words, Quebec would become a Communist system. 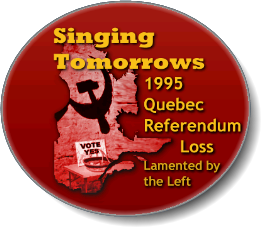 This is, in fact, what the public was forced to “vote” for in 1980 and again in 1995 in the Quebec “sovereignty” referendums: COMMUNISM!